Compare the bookmakers in the USA and find the right fit for you. There are many factors to consider when searching for the sportsbook that best suits your needs. It’s definitely well worth doing your due diligence before making your first deposit. While the majority of bookmakers look similar at first glance, there are many features that distinguish one bookmaker from another. In this article, we will discuss the most important factors to consider before you sign up with a bookmaker. Bookmakers in America – Are They Legal? The latest changes made in the US Federal Law have made sport betting completely legal. Ever since 1992, sports betting has been illegal at the federal level due to the implementation of the Professional and Amateur Sports Protection Act (PASPA). All this has changed in May 2018, as the ban on sports betting has been lifted. States can now choose to regulate sports betting on their own. Now, we are all going to witness the “booming” era of Sports Betting in the United States. Check out each state’s page to find the relevant bookmaker rules where you live. Given that the ban has been lifted, there are plenty of brands across America that are going to start sports betting. This will make it possible for many new bookmakers to start operating completely legally, without worrying about the federal ban from the last century. Even though sports betting is not blocked at the federal level, there is some variability in which bookmakers operate from state to state. Some states still do not have legal sports betting. While most bookmakers offer a similar range of markets across a similar range of sports, you will often find bookmakers specializing in certain bet types. When choosing a sportsbook it’s important to consider what sports and markets you want to bet on. 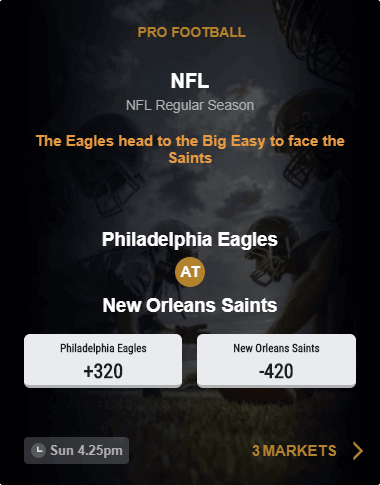 If you want to bet on NFL betting lines, select a bookmaker that provides you with a range of NFL betting line options. Every bookmaker in the world offers odds on football (both pro and college), basketball (again, pro and college), baseball, and ice hockey. However, one may, for example, offer a deep menu of handicap betting options. Another bookmaker may focus on points totals, and another on novelty bets. Finding a single bookmaker that offers the best odds is not as important as it once was. Bettors now possess the ability to shop around across numerous bookmakers, taking the best odds available for whichever market they wish to bet on. While it may not be as important as it once was, you can still benefit from having access to a portfolio of bookmakers that offer better than average odds on the markets you wish to regularly bet on. If you have accounts with three bookmakers that consistently offer better than average odds on NBA betting lines, you’ll considerably increase your chances of being profitable long term. The difference between odds of +220 and +240 may seem negligible at first glance. Yet over the course of a thousand bets, it can mean the difference between making a loss or making a genuine profit. There is a range of different sportsbooks to choose from, and it is important to be well-informed on how they work and what they offer to find one that you want to bet with. We have already done the job for you and have reviewed the bookmakers currently operating in the US! In the states that have legalized betting, you can now also bet online if you are physically located in the state. Here are some of our favorite US online bookmakers and their current offers. Bookmakers offer user-friendly online sites that can be accessed through both desktop and mobile, but some also have apps that can be downloaded for Android and iOS. Apps are great because you can access the sportsbook directly without having to go through a browser. You can choose to save your details and get notifications with the latest updates. Find our review of the best bookmakers apps. Trust is crucial when it comes to banking with your preferred bookmaker. It’s important to do your research! Check what other bettors have to say about the banking options available at any of the bookmakers you are considering registering with. Do they offer a broad range of deposit options? Are there any fees associated with certain banking methods? Do many bettors report long delays or hassles when withdrawing their winnings? You work hard for your money and you should treat your betting banking as you would any other financial transaction. Do your research and don’t hesitate to discuss any issues or concerns you have with your bookmaker’s customer support. It’s better to be safe than sorry. PayPal makes it very easy to engage in online betting. The funds used to place bets will be directly withdrawn from your E-wallet current balance or transferred from your bank account. PayPal is safe to use and is more convenient because you don’t need to give your bank account information to every betting site you register with. Many bookmakers now offer a range of regular promotional offers to enhance your betting enjoyment. Some offer bonus bets while others offer enhanced odds on select events and markets. Others offer profit bonuses on parlays and teasers. If you take your betting seriously then promotional offers may not be much of an inducement when selecting a bookmaker, but if you’re a casual weekend bettor who bets primarily for fun, then it’s worth considering the range and frequency of the existing bookmakers’ promotional offers. Sometimes the offers can be triggered with a code such as the Sugarhouse Sportsbook promo code. The rise of the internet saw the rise of live betting. The first betting exchange (Betfair) opened a decade ago. Now, many bettors now focus solely on live and in play betting. They specialize in exploiting the ‘softest’ betting markets available. While some bettors take their live betting seriously, many still see it as a way of making a game they are watching more exciting. For example, betting via their mobile devices while laying back on the couch or at the sports bar with their friends. Live betting has brought an extra dimension to sports wagering. While most bookmakers now offer live betting markets for the world’s most popular sports leagues and tournaments, it’s worth noting that certain bookmakers will offer better odds on those in play markets while others will offer a broader range of live betting options. If you love live betting, it’s important to do your research and consider your in play betting options carefully. While this may not be crucial to betting success, being able to watch live broadcasts of your favorite sports virtually free of charge certainly adds value to your bookmaker of choice. You can watch live streams of major European soccer leagues, basketball, ice hockey, and baseball. Many racing books also have race feeds or replays from global racetracks. Some services bookmakers classify as “live” are not truly so. The broadcasts are typically anywhere between 30 and 90 seconds behind the real-time action. Keep this in mind if you’re considering a bookmaker’s streaming platform for live betting. There are a number of factors to take into account when signing up with a bookmaker. Consider the range of betting markets, odds, and most importantly trustworthiness when it comes to banking. Above all, it’s important to do your research. Browse internet betting forums and read bookmaker reviews from popular sources. If you’re still not content, contact the bookmaker directly with any issues or concerns you have. You work hard for your money. Bet with a bookmaker you can trust. And one that gives you the best opportunity to succeed with your sports betting.